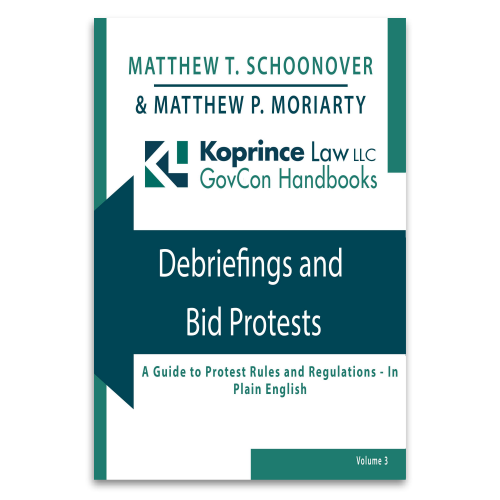 I am pleased to announce a new way to get the latest legal news and notes on government contracting issues. Today, Koprince Law LLC has launched a YouTube channel, where we will regularly post new videos on important and interesting government contracting issues. You don’t need to have a lot of extra time on your hands: our typical video update is around five minutes long and covers a single topic. We will occasionally post lengthier “seminar-style” overviews of key topics, as well. So what are you waiting for? If you’re ready for more government contracts news (or you just want to check out my spiffy Kansas Jayhawks tie), head on over to the Koprince Law LLC YouTube channel, and be sure to check back every week for new videos. If you are a regular SmallGovCon reader, you might notice a few small changes on our blog–those dealing with our contact information. I am pleased to announce the formation of Koprince Law LLC, which officially opens its doors for business on Monday, March 30, 2015. At Koprince Law, we will focus our practice exclusively on providing comprehensive legal solutions to federal government contractors. Some longtime readers have asked whether SmallGovCon is moving with me to Koprince Law. Yes! We will continue to regularly update readers on government contracting news and notes right here at www.smallgovcon.com. 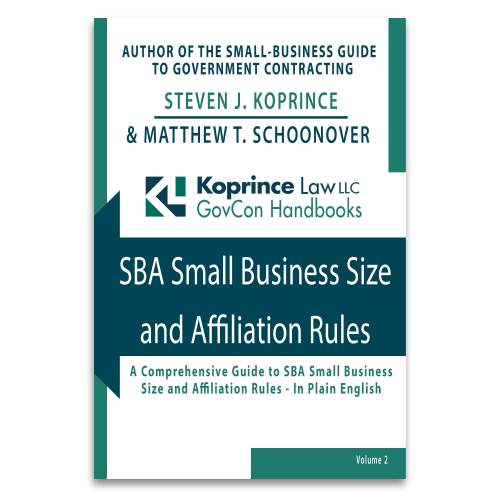 My SmallGovCon co-author, Amanda Wilwert, will join me at Koprince Law and will continue to blog regularly, as well. My new email address is skoprince@koprince.com and telephone number is (785) 200-8919. Please feel free to write or call if you have any questions about Koprince Law. And as always, thank you for reading.